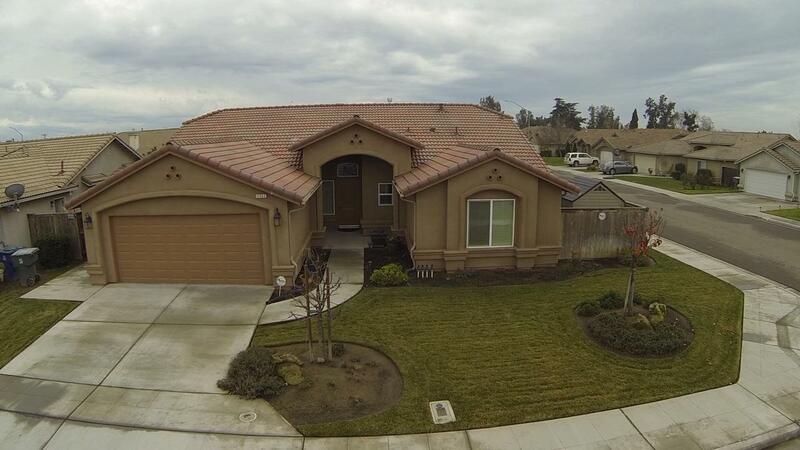 This wonderful home has many upgrades that were added during construction. Flooring is high quality engineered hardwood throughout most of home. The divide between living room & kitchen is unique offering open floor plan, while adding needed wall space. The counters throughout all upgrade granite. 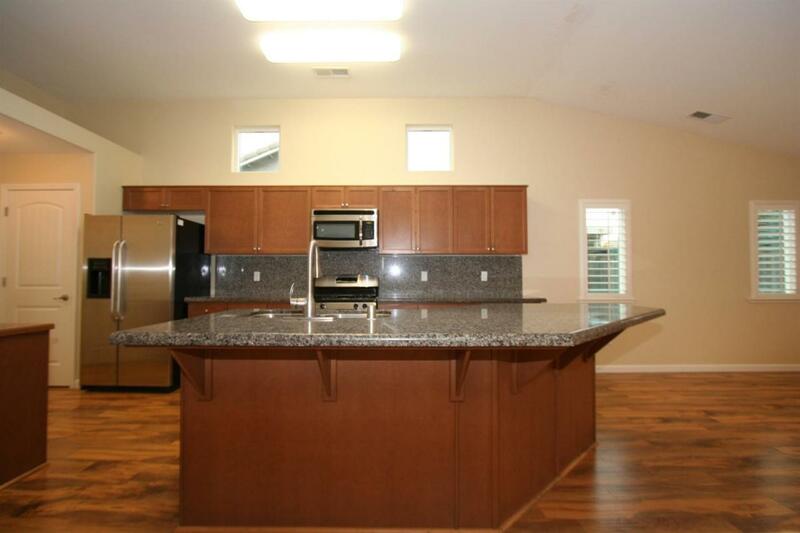 Kitchen has massive island, new fancy dishwasher, gas stove, microwave, large eating area. Extra cement added to back yard at patio area & side yards. Home has gas fireplace, sink in utility rm, great storage, & beautiful plantation shutters throughout. There are three bedrooms on one side of home, including large master that is separated by long hall from other two bedrooms. 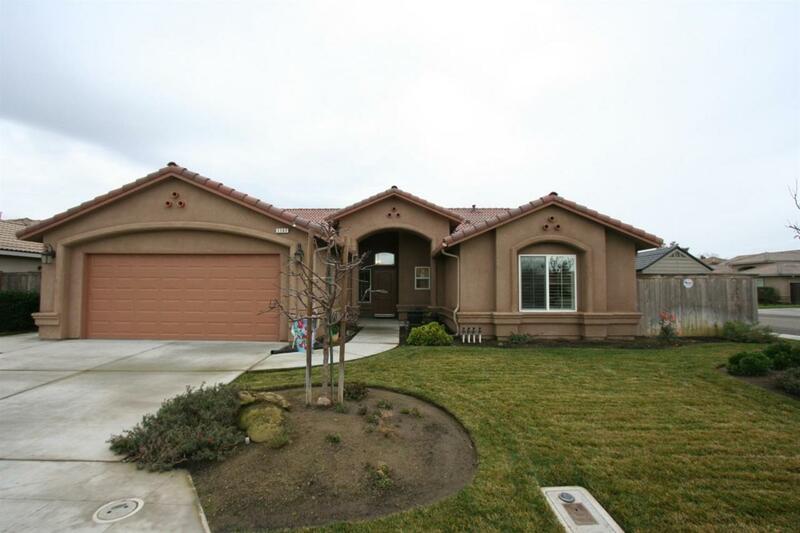 The spacious master bath has soak tub, two sink/vanity areas, water closet, two walk in closets; and, by design, a wheel chair accessible walk in shower! The 4th bedroom can function as office. 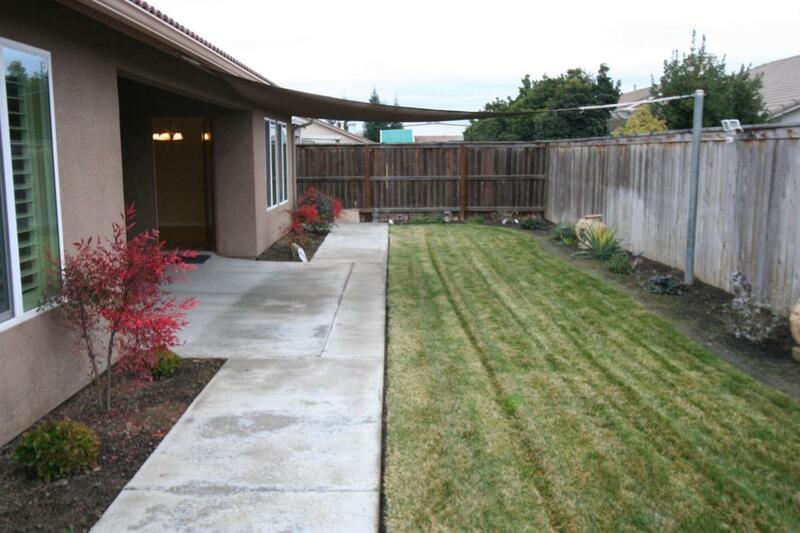 Yard is fully landscaped, w/auto sprinklers. The finished garage has extra rm for storage. All this on a corner lot.